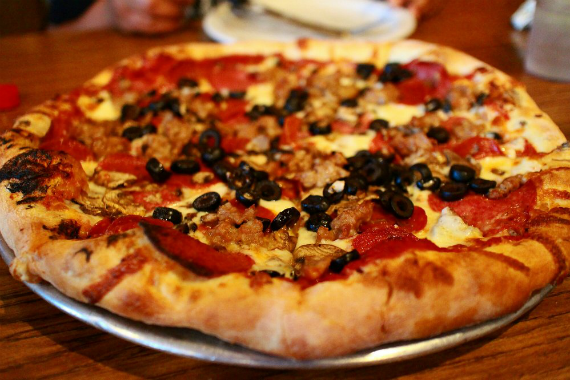 Napoli Pizzeria is Vallejo’s local favorite. Whether you come from the Vallejo Ferry, live downtown or near the waterfront, Napoli Pizzeria will meet your Italian food cravings. Our menu serves up award-winning, hand-tossed pizzas cooked in well-seasoned brick deck ovens and homemade pasta and sauces. "We can make party size orders of pasta, pizza, salad, and wings! " "Life's too short for a boring lunch. " "Since we aren't open, we hope the Easter Bunny brings you something tasty!" "Knowing about deals is the Parmesan on top of our email list: https://subscribe.mainstreethub.com/email/5ba0cc09-226c-48d2-bbe8-df3a45e09099"
"We dare you to make it home without taking a bite of your carry-out order. #VallejoPizzeria #707 "
Yes, I'd like to receive news from Napoli Pizzeria & Italian Food. Sign up for the Napoli Pizzeria & Italian Food Newsletter!